It was November 2008. I was 28, married, and the father of a hockey-loving two-year-old boy. I have no idea when it popped into my head, but sometime that month, I decided to build a backyard rink. And so, like every other fleeting hobby I’ve had, I went online and researched. I read and talked and planned and dreamed about my backyard rink. To keep a diary of my experiences, I began blogging. For the first year, my rink blog was a subdirectory on an old family URL I had kicking around, and in fact, the first few dozen posts are little more than a running log of weather rants and skating raves. As I began my second season in the winter of 2009-2010, I realized that this rink was more than just boards and frozen water. 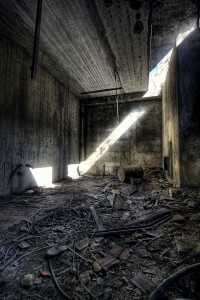 So, too, was my blog more than a personal diary. I had ideas to share, information to provide. I was lucky enough to have a tremendous upbringing that revolved around hockey, and as my son grew, I was trending towards providing a similar environment for him. I wanted to be able to speak freely of my thoughts and dreams and emotions, and how they related to my rink, the sport of hockey, and my life. Backyard-Hockey.com was born midway through that second season, launching officially on February 1, 2010. I have kept the original posts intact, though they are likely of little interest to anyone but myself and my family. But as I grow the blog, I hope to tap into the niche audience that shares the same feelings as I do for the game and its roots, as well as help others experience the game the way I do. There are people out there who, like me, appreciate the game for more than its goals and fights. These are people who willingly give up their time to drive bright-eyed children to far-away road games. People who spend time and money on backyard rinks, even if it means that they need to store hockey gear in their kitchen and puck buckets in their coat closets. I’m also aware that there are people out there who did not grow up with the game, as I did. Hockey is a new sport to them, to their children, to their spouses. Perhaps the seeds are just beginning to sprout, and they don’t yet know what the game has in store for them. They have yet to learn the tremendous lessons the game of hockey can teach kids and their parents. They need guidance. They need help. This blog is for those people, too. We will do this by introducing you to the people who are doing incredible things with the sport at the local grassroots level. We’ll tell you about the events that tap the core of our hockey beings — the pond hockey tournaments and learn-to-skates — that will help usher in a new generation of passionate hockey families. 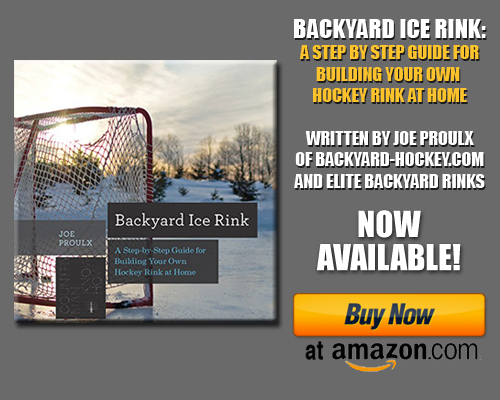 We will help you start hockey traditions in your own backyard, with information on how to build and maintain your own slice of backyard hockey heaven. And along the way, we’ll attempt to entertain and inform you with stories, product reviews, and contests, all aimed at making hockey as much a part of your soul as it is ours. Hockey, in its purest forms, runs in our veins. So read this site. Join our movement. Breathe the game. And share it with the world.